HARARE magistrate Victoria Mashamba has set July 26 as the trial date for former Finance minister Ignatius Chombo and three ex-Zanu PF youth leaders − Kudzanai Chipanga, Innocent Hamandishe and Mathew Nleya − accused of wearing the ruling party's regalia without authority. 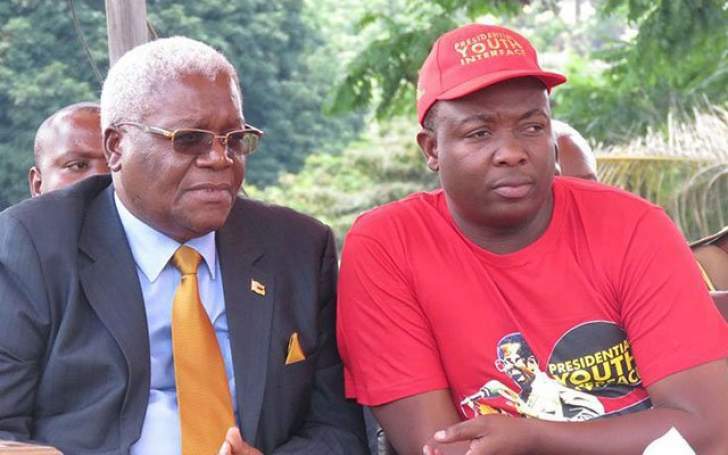 Mashamba also set July 18 as Chombo's trial date for contravening sections of the Prevention of Corruption Act in a case where he stands accused of prejudicing Eddie Pfugari Properties of more than $200 million in a botched land deal. The former Cabinet minister will also appear on trial on August 2 facing allegations of defrauding City of Harare its property worth $900 000 and he is being charged together with Lazarus Chimba, Rejoice Pazvakavambwa and Psychology Chiwanga. Chombo will again be on trial on August 8 for allegedly defrauding businessman, Chargan Vithal Rama, of $500 000 in company share ownership transfer deal. According to the State, on the dates unknown to the prosecutor, Chimba and Pazvakavambwa connived with Chombo, Chiwanga and Iben Francisco, James Chiyangwa, Theresa Chenjerai and Elias Choto, who are still at large, to prejudice City of Harare. It is alleged Chimba authored a document on June 13, 2008 to City of Harare indicating that he had no objection to double transfer of a council property to Chimeri and that Chimeri be given title deeds of the property which had been illegally acquired and sold to him by Chombo. The State further alleges that Chimba also influenced the City of Harare to illegally get a compensation of said property. It is alleged Pazvakavambwa authored another document on June 25 to City of Harare confirming that the property had been sold to Chombo. Pazvakavambwa further instructed Francisco to transfer the said property into Chombo. The State alleges by so doing, Chimba and Pazvakavambwa acted contrary and inconsistent with their duties as public officers as their actions had the effect of showing favour to both Chombo and Chimeri. A report was made to the police on November 23, last year, leading to their arrest. The said property is valued at $900 000 and nothing was recovered. Edwin Nyazanda appeared for the State.